As a child growing up in LA, I often made friends with homeless individuals. While some of my peers feared the people living on the streets, I enjoyed interacting with them. They were always friendly to me and had many stories to share. As early as age 7, I asked people I knew to help feed the homeless. I was fortunate to have my wishes granted by generous family and community members. In 2015, I created my own non-profit, VeryHuman, to help the growing number of homeless people in Los Angeles County. Since 2015, the organization has helped over 800 individuals. Of the 337 members who have applied for housing assistance, 240 members have been placed in permanent housing to date. This journey has not been easy due to many of our members having a history of mental illness, physical disability and drug dependency problems. The majority of the members applying for housing have no means of transportation, which puts the burden on us to locate each individual member who has applied for housing on the streets to take to housing appointments. In order to qualify for permanent housing, those with a physical disability and mental illness must have at least one year of documentation recorded from a doctor stating the cause of illness. Obtaining health records can be a huge burden to someone who is homeless and does not have the means or goal for self-efficacy. A homeless timeline that verifies the applicant is chronically homeless. With federal funding cuts on the rise, housing members has become more and more difficult. On average 1 member can cost up to $1,040 to permanently house. This estimate is calculated on time and cost from start to end as indicated in the table above. The process to fully house a member into permanent housing is long and tedious. Even with all proper documents collected and submitted, each member undergoes on average of 26 hours of interviews within the time span of 3-6 months. This includes at least 15 appointments which can last 1.5 – 2 hours per visit. Our goal is to raise $62,400 which would allow us to house 60 members within a year time span. This would allow us on average to house 5 members a month. 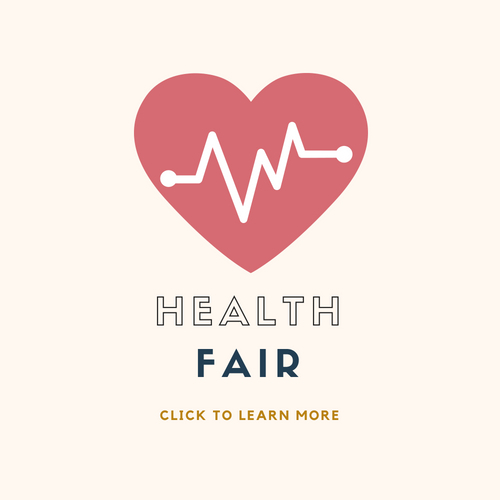 The Health & Resource Fair is an annual event hosted by VeryHuman; the purpose is to provide free health screenings and distribute relevant health information to under-served populations in Los Angeles County. VeryHuman's Education Program needs your support! All proceeds will directly fund program operations such as: equipment and room rental, marketing materials, and food costs. VeryHuman's Education Groups are split into 4 cohorts. Members self-select which cohort to attend based on which member population they most closely identify with. Within each cohort, our members work through an established curriculum which includes education and discussion around: healthy eating, exercising, hygiene, meditation, and more! This Spring, VeryHuman is raising money to launch a new art initiative for our members. Creative expression has been shown to naturally calm the body, reduce blood pressure, and alleviate everyday and acute stress.Our hope is to offer two art classes a month from April thru November. In December, we will showcase our members' artwork during our annual holiday gala.